The most elegant and sophisticated of the combat arts, fencing well requires skill and dedication, but it's exciting! It can be used to train both the body and the mind. 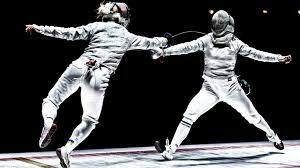 Modern fencing is a form of sportive swordplay in which two opponents, wearing protective gear, try to score 5 points (or 15, in higher level bouts), called "touches", on each other's bodies. The first to the score the requisite number, or to have the higher score in the time alloted (4 minutes, in a basic bout) wins. Blunt, light weight versions of classical swords are used. 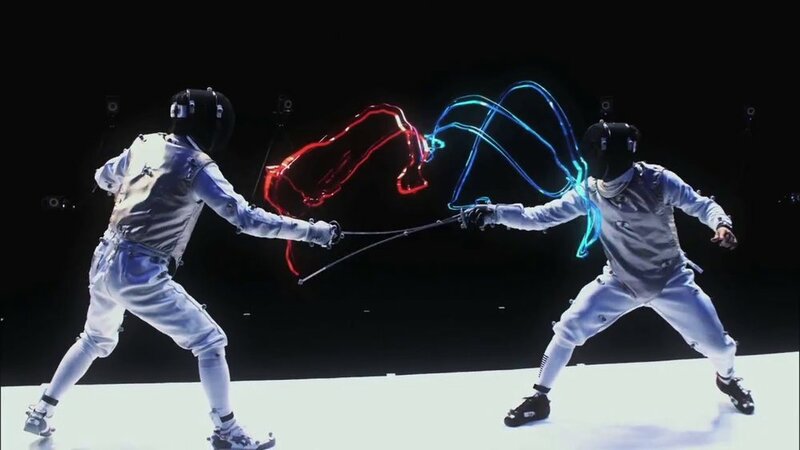 Three weapons (forms of competition) are used in modern fencing; the foil , which is derived from the European gentleman's smallsword, the epee , derived from the dueling rapier, and the saber (or sabre) , which is derived from the military saber. Matches - called "bouts" are scored by either the fencer acknowledging the touch (in practice bouts), a referee's decision, or, in competition, by referees assisted by electronic scoring machines. The rules for the use of each of the three weapons is very different from the others, so that there really is a syle of fencing for just about anyone who takes an interest in the sport!